One of the most important production parameters in poultry production is the hardest to measure. A healthy and disease free bird is the key to making a profit. Keeping the birds healthy and treating them effectively in the case of a disease outbreak demands a high level of knowledge and the full attention of the farm manager and personnel. In this webinar, experts Schothorst Feed Research, Kemin and Dupont will focus on how to achieve healthier poultry through a balanced gut health. Intestinal health is the one and foremost indicator of profitable poultry production. This start already at incubation and is further enhanced by the development of the birds microflora. Reseacher Ellen van Eerden will delve into the role nutrition can play in controlling and enhancing intestinal integrity. Chickens hatch with a very limited microbiome. Development of this microbiome is an important cue to set up the chicken’s immune system. Susanne Kirwan will shed her light on the three options to enable poultry to have the best adapted immune system possible. No antibiotics, modulate the immune system into an activation level by using the PAMP (Pathogen associated molecular patterns) and modulate the microbiome towards the beneficial flora, using an active microbial. Julio’s passion is to understand the mechanisms beneficial and pathogenic bacteria exert in the gut, and contribute to offer sustainable natural solutions for the challenges in animal production. In his presentation he will define gut health and explain the challenges posed to poultry production. Which are the main challenges in poultry production and what should producers look for key indicators of gut health? Julio will discuss key considerations to get the best protection for your birds. The webinar will be hosted by Fabian Brockotter, editor in chief, Poultry World. 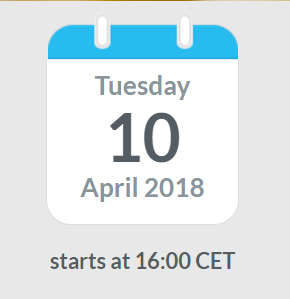 The webinar Poultry Health will last an hour and will start at 4 pm Central European Summer Time on April 10th. This corresponds to e.g. 11 am Atlanta, Georgia, 11 am Sao Paulo, Brazil, 7 pm in Moscow, Russia, 10 pm in Bangkok, Thailand and 11 pm in Beijing, China.